I have two special objects on my key ring — one for each of my grandfathers. My paternal grandfather was a captain in the Jersey City Fire Department. When he passed away in 2004, my brother, sister, and I each received a metal button from his dress uniform. The button has a loop on the back, where it was sewn to his uniform, so I used that loop to put the button on my key ring. It also says SUPERIOR QUALITY on the back, which is a nice touch. The button has become a bit of a good luck charm — I’ll rub it when I’m thinking something through, or as a nervous tic. As for the other object: Because of the bright morning sun, I keep my visor down during my drive to work. I keep a St. Anthony prayer card on the visor, and that made me think of my maternal grandfather, who was named Anthony (and who I was named after). 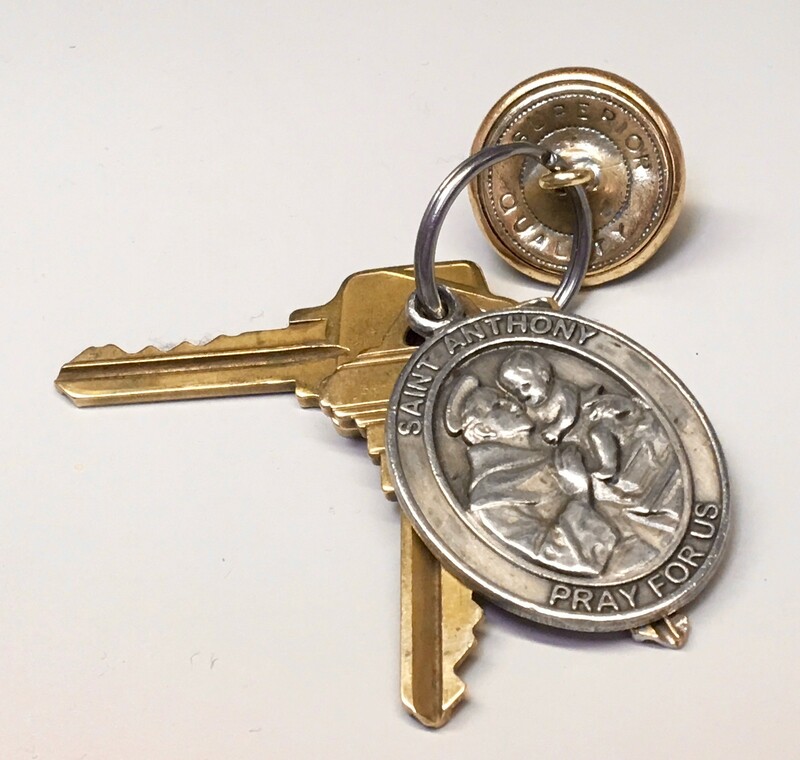 When he recently passed away, I thought a St. Anthony medal would be a fitting addition for the key ring, so now it’s there along with the button.